SRI Quality System Registrar is proud to announce that it has achieved B Corp certification by the non-profit, B Lab. Certified B Corporations are leaders of a global movement of companies using business as a force for good. As a Certified B Corp, SRI meets the highest standards of overall social and environmental performance, transparency, and accountability. SRI has long been considered a best place to work in the state of Pennsylvania, embracing employee, community, and globally-focused policies and practices that promote health and sustainability. SRI expanded its focus in 2017 by elevating its sustainability practice leader to the role of Chief Sustainability Officer (CSO), and further adopting and tuning its business to embrace global standards for excellence, through utilization of The UN Sustainable Development Goals, Just Label, and now, B Corp standards. This investment, led by SRI’s CSO Jana Lake, and embraced by all of its stakeholders, resulted in this highly distinguished recognition and accomplishment. “It was the involvement of all of SRI’s stakeholders that made this such a valuable and meaningful process,” underscores Jana Lake. “SRI has always been a leader locally, industry-wide, and nationally, but accepting B Corp standards for recognition truly elevated our accomplishments to a global level. We are very proud to be among a very small, but growing group of special organizations around the world that have made such commitments.” The family-owned company also became one of fewer than 100 companies globally to be issued the JUST Label, and it published its 2018 Corporate Responsibility Report in February 2019 to demonstrate its wholesome commitment to CSR. Unlike traditional corporations, Certified B Corporations are legally required to consider the impact of their decisions not only on their shareholders, but also on their stakeholders including workers, suppliers, community, customers, and the environment. The performance standards B Corps meet are comprehensive, transparent, and verified. 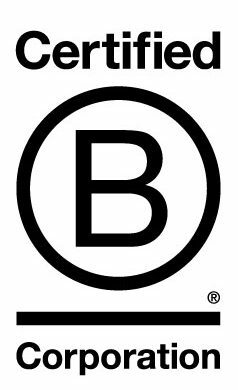 The combination of third-party validation, public transparency, and legal accountability help Certified B Corps build trust and value. There are just over 2,700 Certified B Corporations across 150 industries in 60 countries with 1 unifying goal – to redefine success in business. SRI is proud to join the global community whose mission is to balance purpose and profit to redefine success in business, so that one day everyone may use business as a force for good to create an inclusive and sustainable economy. To learn more about our certification, click here to check out SRI’s B Corp profile. SRI Quality System Registrar, an international company headquartered in Seven Fields, PA, with offices in Pittsburgh, PA, Portland, OR, Ann Arbor, MI, Dublin, Ireland, and Tokyo, Japan, and its 3R Sustainability and iQ Training subsidiaries, are a management system certification body, global corporate responsibility (CSR/ESG) consultancy, and training services corporation, with services accredited by ANAB, RvA, IATF, FSSC, APMG, AA1000, and the USGBC (GBCI) to assess and assist in conformance to quality, environmental, health and safety, information security, social responsibility, LEED rating systems, and other international standards. For more information on how SRI can help you build relationships for success in your supply chain, go to www.SRIRegistrar.com or call 724-934-9000.